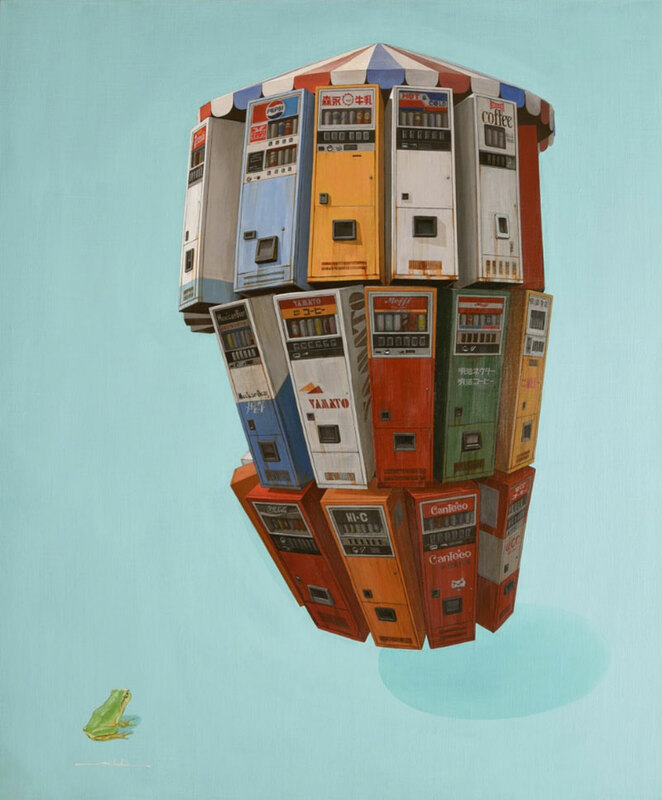 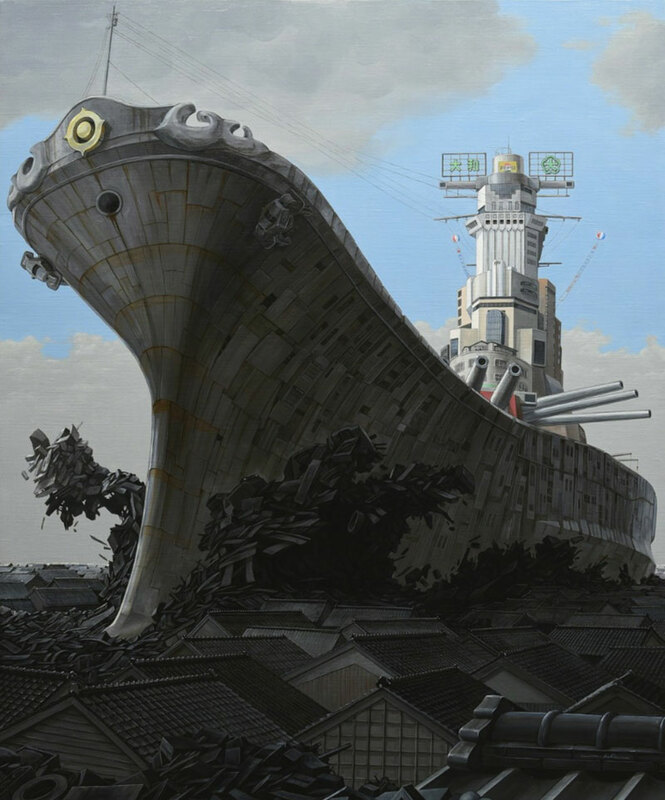 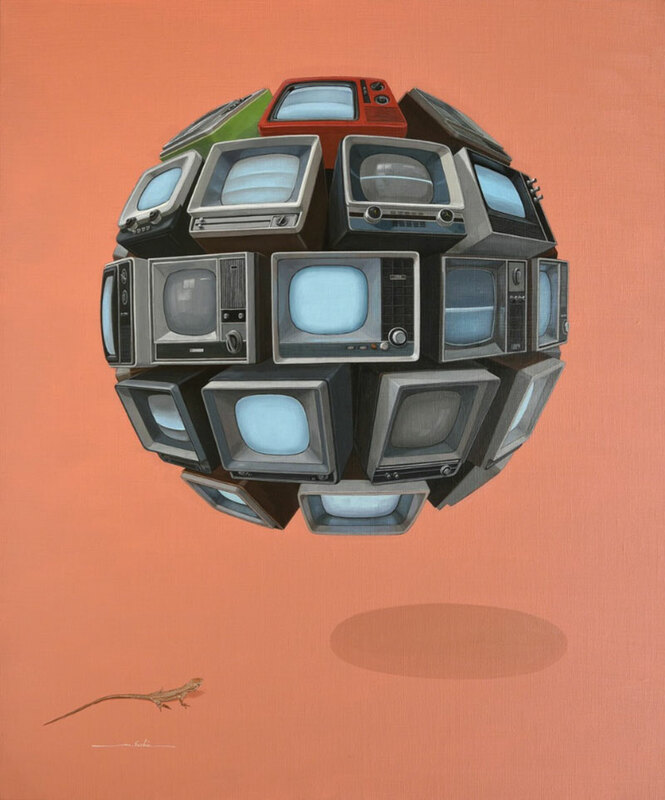 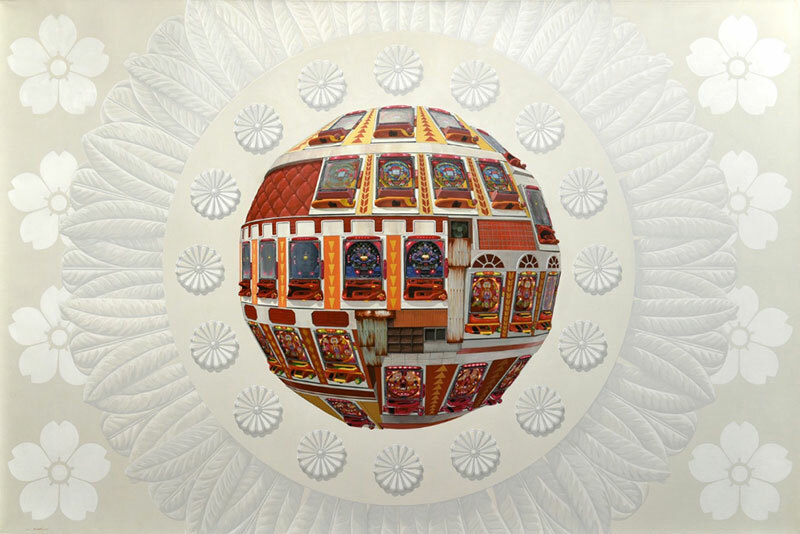 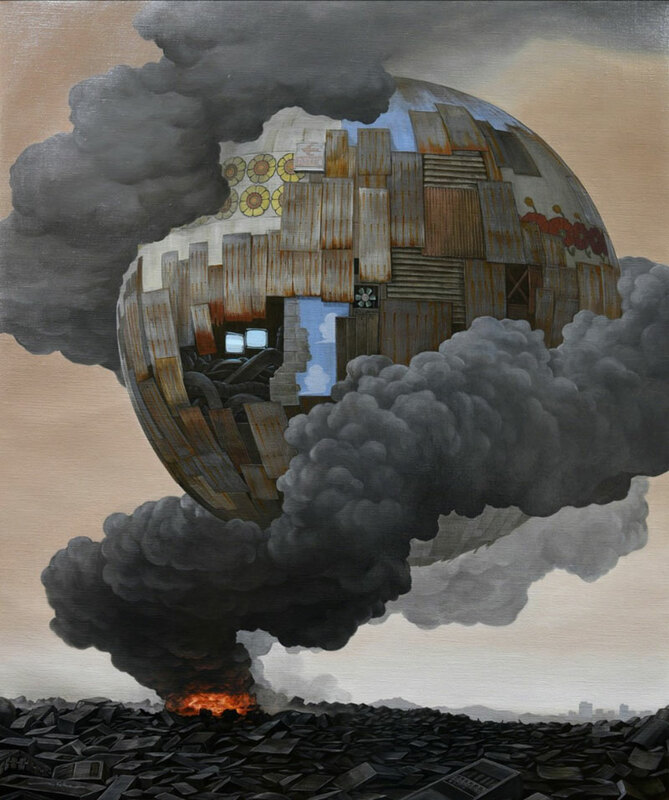 New series by Japanese artist Masakatsu Sashie who is best known for his floating orb paintings. 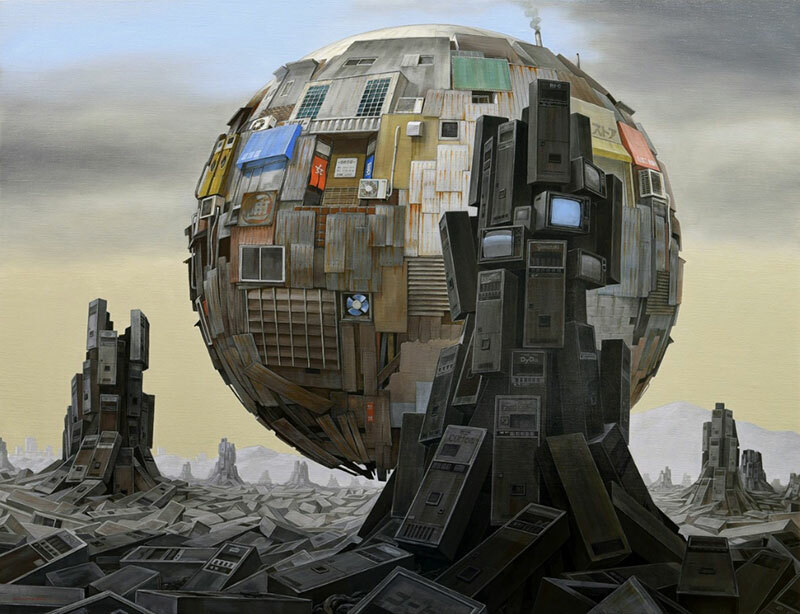 The orbs are created out of scraps from Showa-period constructions and pieces from popular culture such as vending machines, fast food signs, video game components and pachinko parlors. 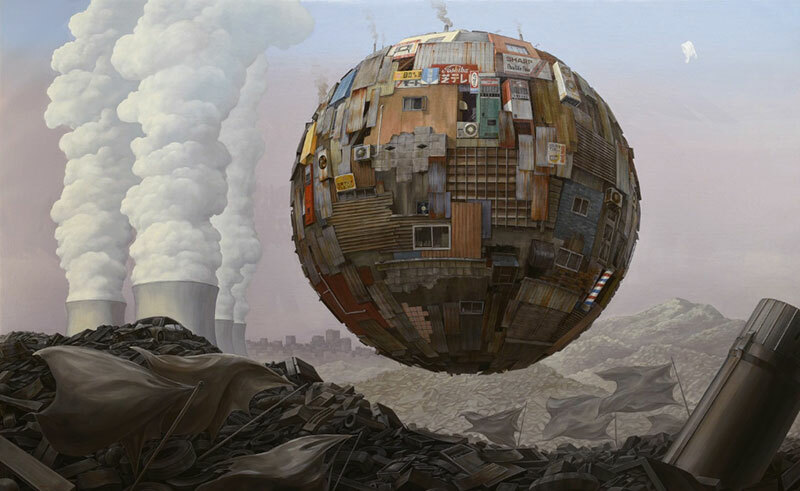 The objects are woven into his imagery depicting city-like spheres drifting above post-apocalyptic worlds that serves as a warning for human tendencies towards environmental dominance and over-consumption. 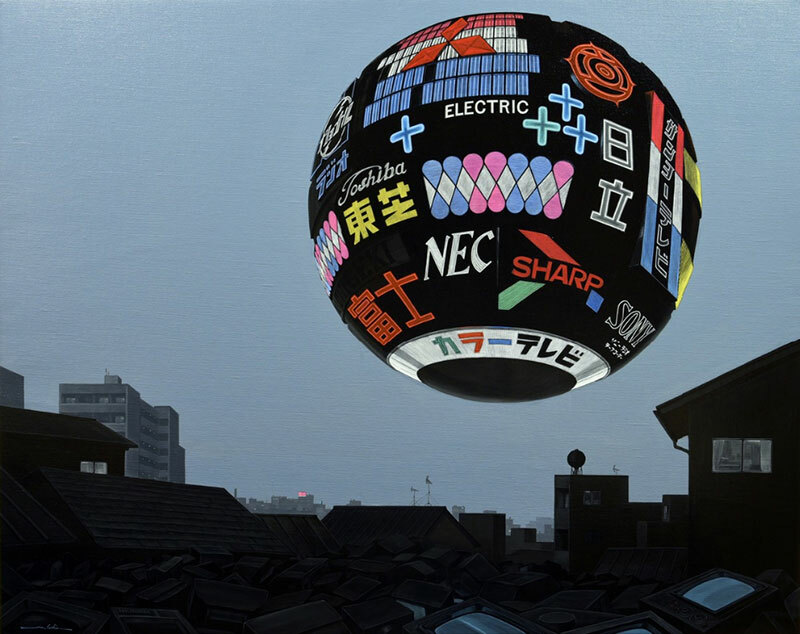 New series by Japanese artist Masakatsu Sashie who is best known for his floating orb paintings.